Thank you ! After trying everything, I came across this driver, and it worked for windows 10, which doesn’t care about those “obsolete” cameras and try to get you to buy new ones… will spread the link, if that’s allright. Thank you so much! I was just about to give up. 🙂 It was great that I could still use my old webcam. Thank you so much! I dont leave comments unless its worth it. Thank you!!! I have looked everywhere for getting my camera to work and luckily i found this link, thank you so much!!! Is it possible to get a 32bit version of the VX-3000 drivers. If these drivers are 32bit too, then they aren’t supported on the latest win10 creator’s edition. Even tried to use device manager to point to the inf file and still it wouldn’t recognize the device. Oueta, thank you so much for your efforts. The update you had posted for the 32bit drivers worked like a charm. This page needs a link in Microsoft answers! Kudos. Windows 10 64 bit . 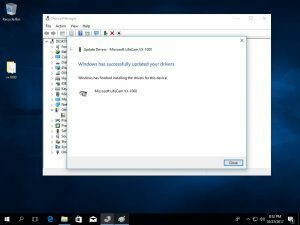 did everything and i get : windows found drivers for your device but encountered an error while attempting to install them. Access is denied . please help! Good news: the drive installed without a issue. Bad news: The webcam, a 3000, isn’t seen by skype. Back to where I started. Oh well. @Kevin and @Kerry go to https://www.skype.com/en/get-skype/ and install classic Skype. 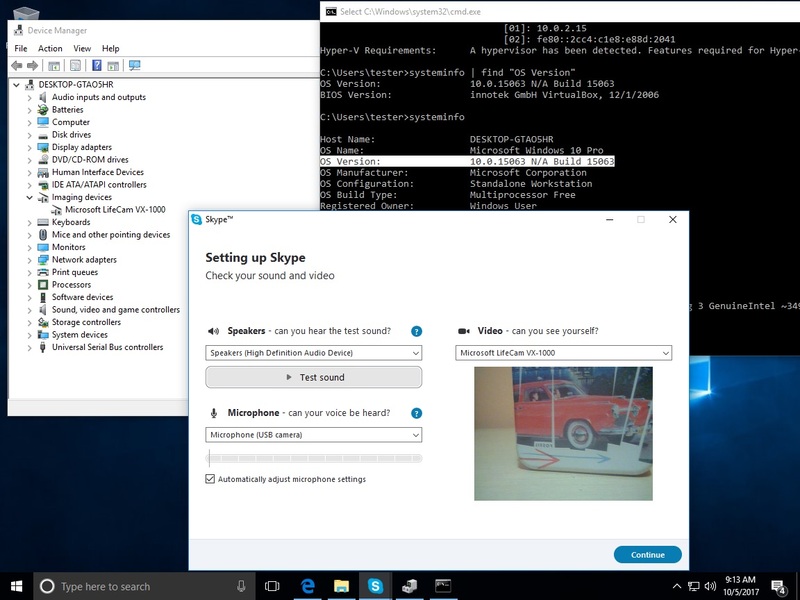 I downloaded the driver for LifeCam VX=3000 on Windows 10 Creators version and I can now Skype call again. I did find though that Cortana is no longer available since downloading aforementioned driver. After hours of searching this is finally the solution for Win 10 Creators Update. This works great for my vx-6000! Thanks! But is there anyway to adjust camera settings anymore? My webcam has a strange issue where if I leave it plugged into the laptop when I start the computer, the webcam is not seen by the computer at all. Doesn’t matter if the computer is turned on cold or waking up from hibernation. It’s not a driver issue as it’s not even visible in device manager. But if I unplug and re-plug the webcam, it works. But I found a strange fix. If I attach an USB hub to my laptop and plug the webcam into the hub, it’ll now always work. The USB hub is not even externally powered. Perhaps the old usb hardware on the webcam can’t always deal with 11 years of changes in the newer usb hardware. Hope this helps someone in case I’m not the only one with this issue. If you are using Skype the settings can be changed from Tools -> Options -> Video Settings -> Webcam settings. Thanks, alot.. was so frustrated downloading and installing crap, I almost threw away a good working camera. How do I get the classic Skype? I go to the link, and it recognizes that I have Win 10 and tells me it’s already installed. I click on the download anyway, and it only gives me the option to launch the MS Store version that is already installed. Thank you so much with your instructions on getting the webcam to work, as well as Skype!! This is ridiculous. Your instructions worked like a charm. Then the very next day, Win 10 did an update and I was back to square one with no webcam. Had to reconnect the driver again (I still had it in my downloads since I just did this yesterday!). Should I just refrain from updating from now on?? Thanks ! I tried for hours without success until I found your post and links. VX-6000 works great! I just bought the newest comparable model of this brand and there is no zoom or focus. Glad i didn’t get rid of this one and more glad i found this site to get drivers! the archive contains only the drivers, you need to install them manually, follow the instructions from above. Just like to say a very big thanks for this tip and this site…..searched for ages on the microsoft support site and just went in circles. No real help offered, and certainly no link to useful drivers as there is here. Then I spotted that 12 people had been helped by this sites solution. It worked like a charm, and windows 10 now sees my VX-6000 as it should. 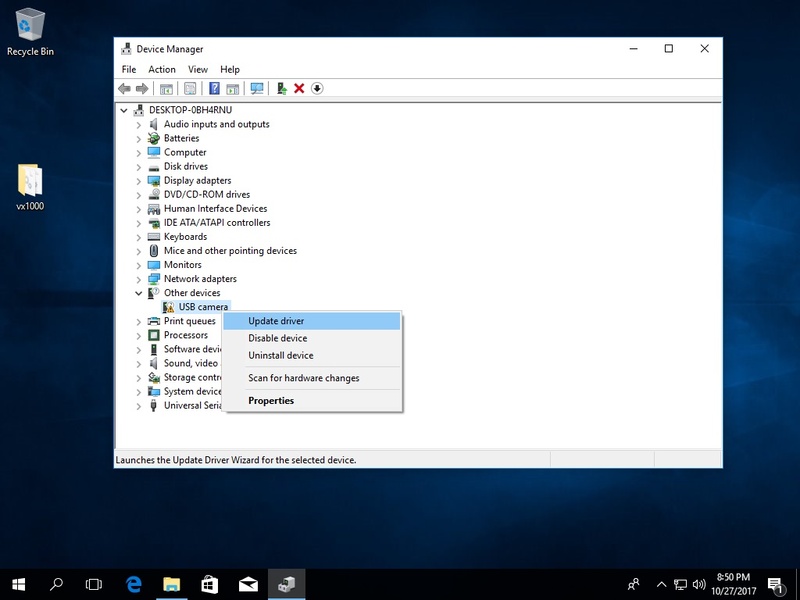 Mang thanks, this works fine on my win10 system wiyh all the updates applied. I downloaded the driver and cyberlinks youcam ( free version) and even the current skype version is working again. All this was not a lifesafer , but some win10 developers are with there pants down..
AWESOME…THANK YOU so much!!!! I was about to give up. F…MS!!! Nothing on the Microsoft site no help nada. I will never ever buy a MS hardware product ever again. This is how you lose customers for a lifetime. About time that MS rethinks their approach. How did you install the drivers from the VX-6000 map after unzipping ? Since i have upgraded yesterday to April 2018 upgrade V1803-17134.1, my MS LifeCam VX-6000 doesn’t work anymore. I checked and found that all drivers are installed and i receive “”error code 39″” which means that the drivers are not loaded into the memory. I’m working with that camera since XP-7-8.0-8.1 Pro and Windows 10 with V1507-1511-1607-1703-1709 with no problems in all this versions. So yesterday camera no working anymore. How do i fixe the uploading of the drivers in het system (they are allready there) ! Muito obrigado. Salvou a minha webcam VX-3000. Thanks for this – the driver for the VX-3000 is working nicely. THANK YOU – works as expected. Thank you all for your feedback. I really appreciate it! Hi camera working well thank you but I can only get 640 x 480 resolution . How can I get a higher resolution. If you own a Microsoft VX1000 webcam that’s the maximum resolution supported. Hi I should have said, I have a VX-6000 which should have a maximum of 1280 x 1024. You cannot set the resolution in Skype, as far as I know the resolution should change dynamically, depending on your bandwidth and latency. Microsoft is hell bent that owners of the older webcam units will have to purchase a newer webcam that is compatible. It is such a shame to discard a hardware device that is still in good working order. As for the new version of Skype, it is my opinion that it is not very user friendly, regardless of what Microsoft has to say. Sorry folks to be the messenger of bad news. Thank you for your feedback and yes that’s bad news.. However.. I tested the VX1000 webcam with Skype-8.25.0.5 and it’s working. Hi everybody, I would like to share some good news which is contrary to my post on 21 July. I downloaded and installed the new version of Skype 8.0 and to my surprise found that the Lifecam VX-3000 is working 100%, that is video and sound. So obviously the drivers downloaded from this site for Skype classic also works on Skype 8,0. Now I need to get used to the new layout of the latest Skype which should not be a problem. Thanks for your support in the past. Thanks for the article and informative replies. I managed to get my Microsoft vx3000 camera up and running with a newer windows 10 64 bit Dell laptop by using the driver download linked above and installing the Manycam free software. I needed my camera to stick between some floor joists so I could see what I was doing with some hvac vent cleaning and this combination worked like a charm. What operating system do you have? 32 or 64 bit ? Make sure you downloaded the right version. And I have 64biot and installed 64bit (but tried both earlier when none was installing), with a vx-6000. As you see in this thread @badbob001 confirms that is with a vx-6000.. Tried both on boot and unplugging/replugging, black screen both times. It seems like it’s audio only mode, as it displays that it’s capturing audio from the mic, but the picture is still a black screen. Any idea? Since a new “clean” install of Windows 10 Pro by a big Crash of the computer, Microsoft Lifecam VX-6000 only works with Audio, writing and audio calling. When i go to Audio + Video settings, the computer “stops” working with Blue Screen and mention: Driver IRQL NOT LESS OR EQUAL tcpip.sys. Before the crash Lifecam VX-6000 was perfectly working since several Windows versions in the past. What can i do to fixe that problem ? The helpdesk of Microsoft don’t understand the problem, they always mention to install Skype App. 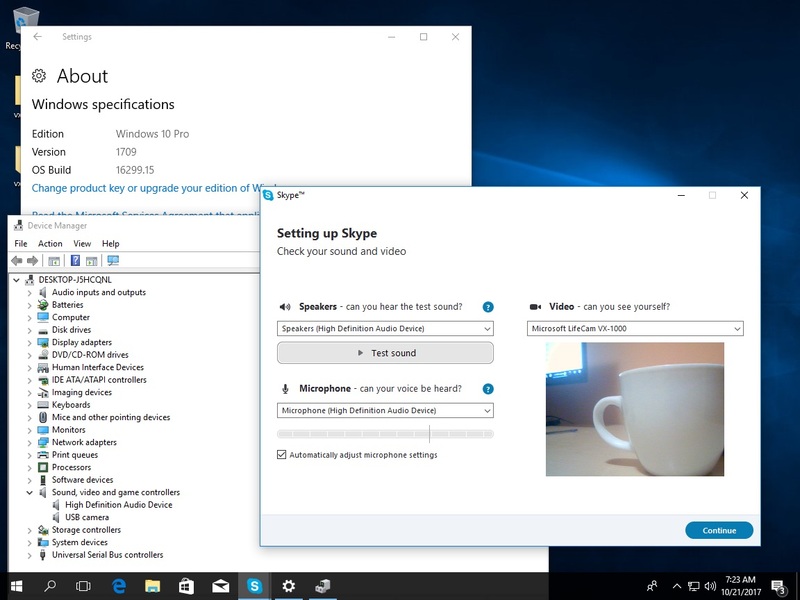 i was working with Skype for desktop (Standalone installer) and was working very well. Microsoft is trying to retire the classic Skype, a new version can be installed from here: https://www.skype.com/en/get-skype/.. that is what they are trying to say. 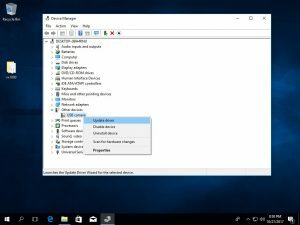 Driver IRQL NOT LESS OR EQUAL tcpip.sys error could related to a faulty network driver, try to update or install correctly your network adapter. Thank you for correct driver! Thanks a lot! Camera was not working for one year…. works like a charme! Thanks Oueta. It didn’t work for me the first time but I deleted the files i downloaded and then downloaded again. Worked a treat the second time.